Topics RV Resort is located in beautiful Spring Hill, Florida, and features 231 sites with 30 or 50 amp service. 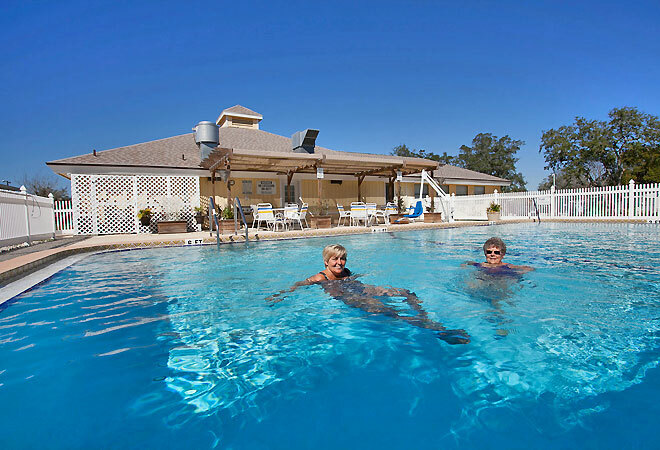 Age-qualified and offering an array of attractive amenities, this Florida RV resort could be your perfect getaway. Our friendly and attentive staff is just one reason we remain a top Florida RV resort year after year. Swim in our heated swimming pool, relax with a book in our library, play a game of shuffleboard and so much more. You'll also enjoy a full calendar of scheduled classes, activities and games during your visit. Join us for our special events, including group trips, festivals, dining, parties and socials. Make Topics RV Resort your Florida home away from home.